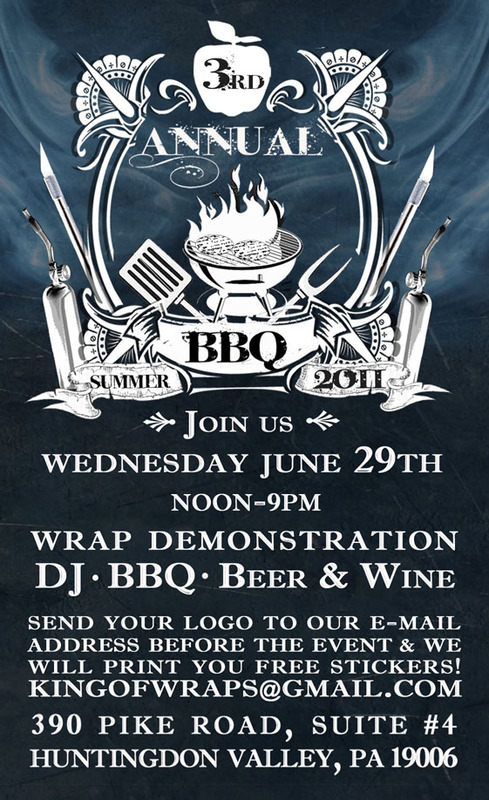 Apple Graphics sends away another fine wrap job! 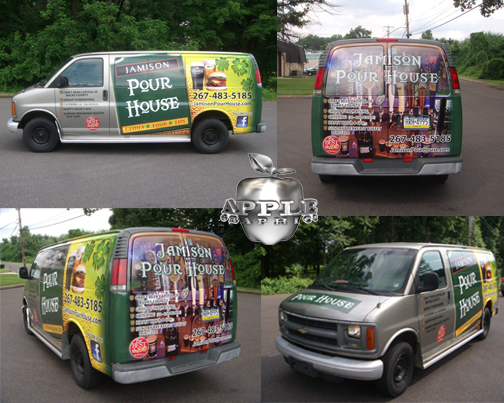 Jamison Pour House Van. The Vans original color was silver, the hood & lettering on the passenger & driver doors are called Die-Cut. This process is achieved when we send just one color at a time through the Graph-Tec plotter. This mechanical device will cut out the letters individually. Then the letters are weaved out, which is a process of removing unnecessary vinyl that are then recycled. Greg & Allen are our team specialists. They are certified wrapping professionals! 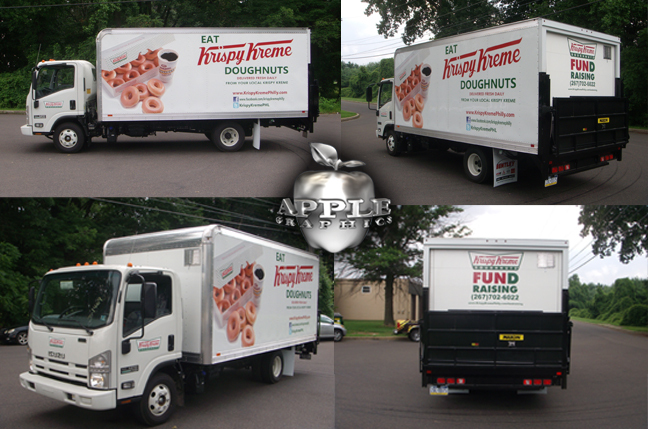 As you can see, a lot of work goes into one Van Wrap, and Apple Graphics will take the time to produce a stunning final product!!! 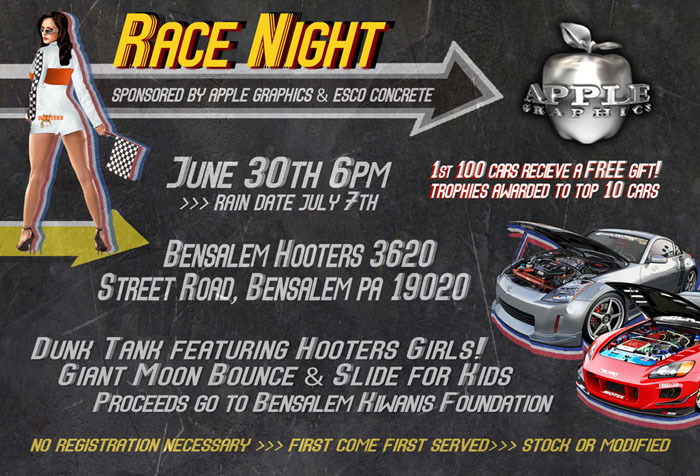 Hooters Race Night Sponsored by Apple Graphics!!!!!!! !